← London’s ExCeL Logistics – Sussex Transport has Grand Designs on YOU!! 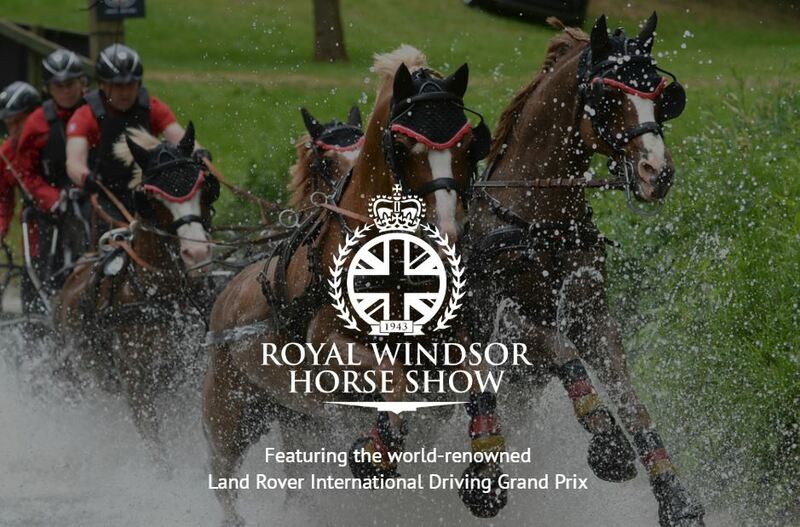 The Royal Windsor Horse Show… A Right Royal Occasion! The Royal Windsor Horse Show is a horse show held annually since 1943, it is the UK’s largest outdoor premier show and takes place in the grounds of Windsor Castle. This is the only time of year that the public can access the private grounds of the Castle. 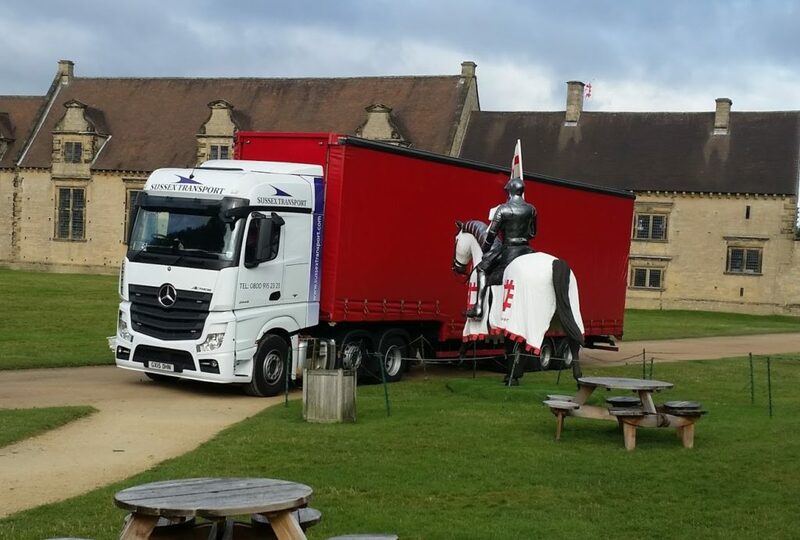 A huge event like this can take anything up to a whole year of planning and will undoubtedly start almost immediately as the show ends… we would be happy to discuss your Windsor related haulage and transport requirements at any stage of your planning. The Show is the only one in the United Kingdom to host 5* International Show Jumping (which is the highest level possible) as well as 4* International Dressage, 4* International Carriage Driving and not forgetting the Endurance Riding. In addition, there are over 130 showing classes – It is the largest outdoor equestrian event in the UK with more than 3,000 horses and ponies taking part. There are numerous exciting displays which take place at the Show including The Musical Ride of the Household Cavalry Mounted Regiment, The Musical Band of the Household Cavalry, The King’s Troop Royal Horse Artillery, DAKS Pony Club Mounted Games and The Shetland Pony Grand National. The site itself includes an extensive shopping village which hosts over 250 exhibition stands and there are many different places to sit and eat making it an ideal family day out. This year’s show will also feature celebrations for the Queen’s 90th birthday, taking place on the last four evenings of the show. We have a history of horse transport, but not one who’d win these events. Sussex Transport would love to be your chosen transport provider, we have the capability, expertise and a very long successful history of transporting all manner of items to shows, Including Mobile Bars, Converted Containers, Marquees, plants, shrubs & trees or just your exhibition equipment. With our diverse fleet of vehicles.. (artic flatbeds, curtainsiders and moffetts, hiabs, 26 tonne flatbeds and curtainsiders, 7.5 tonne box and curtainsiders and vans) we can arrange to collect from anywhere within the UK and transport your goods directly to Windsor and then when the event ends we can re-collect and return your goods to their origin. So stop horsing around and make that call, just pick up the phone and call Sussex Transport, we can then discuss your requirements in further detail and the best way forward for you. This entry was posted in Artic Transport, Delivering to..., HIAB / Crane Lorry Loaders, News, Where are Sussex Transport going..., Where are Sussex Transport..., Working with... and tagged Logistics Company Windsor, Windsor Haulage, Windsor logistics, Windsor Transport. Bookmark the permalink.